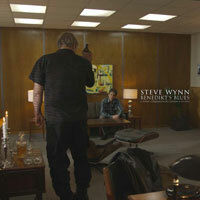 22 years after the release of their much-loved 1984 classic "The Lost Weekend" Steve Wynn and Dan Stuart brought 12 new songs down to Richmond, Virginia last December and recorded this new record with Johnny Hott (Gutterball, Sparklehorse, House of Freaks) and Bob Rupe (Silos, Cracker, Gutterball) as well as two holdovers from the first album: Stephen McCarthy (Long Ryders, Gutterball) and Chris Cacavas (Green On Red). 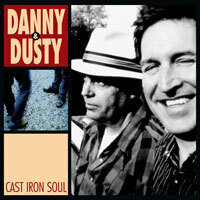 The record was produced by JD Foster and the first 5000 CDs include a full length DVD of a Danny & Dusty show at the Music Machine in LA back in 1986. The deluxe package is available right here until it's GONE. "Will The Dream Syndicate ever reform?". That is the question. That is a question that Steve Wynn faces every now and then. 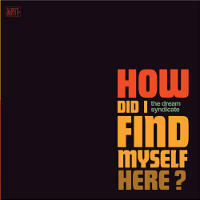 Steve, fair enough, usually answers by posing another question: "Which version of The Dream Syndicate?". Another question that both media people and fans keep asking Steve is: "OK, how about a Gutterball reunion?". I don't know what can make a Gutterball reunion happen, after the tragic loss of their guitar maestro, Bryan Harvey, New Years Day 2006. I mean, few people have asked Steve about a possible Danny & Dusty new record. That's because everybody thought Danny & Dusty was sort of an one-off project, that rocked our mid-80's days in a magic dylanesque way, and was never bound to come back. Never say never. Steve knows how to suprise us. Dan Stuart is also very good at that. Not only Dan's band, the always exciting Green On Red, IS back, but Danny (Dan Stuart) and Dusty (Steve Wynn) have a brilliant new album, due to come out April 1st, 2007. How did that happen? According to Danny & Dusty's official MySpace page, "...Dan Stuart, upon hearing that Wynn had severely broken his ankle and was laid up at home, took it as a sign and wondered whether another record might be possible. Venturing uptown with guitar in hand, Danny found Dusty laying on the couch, watching baseball and chewing Vicodins. Surely not much had changed in two decades. After whiling away several afternoons picking and grinning, the duo decided that another album was in order and arrangements were made to record in Richmond, VA. Local ringers Johnny Hott (House of Freaks, Sparklehorse) and Bob Rupe (Silos, Cracker) were enlisted, along with Stephen McCarthy and Chris Cacavas from the debut album. Eclectic madman JD Foster agreed to produce". The result is "Cast Iron Soul', an album well worth the wait. Our radio show has already an adance copy of "Cast Iron Soul', and gives it heavy airplay.